I'm originally from the United States, but moved to the United Kingdom in 1987. I've been an educator, public speaker, world traveler, consultant and writer. Over time I accumulated degrees in psychology, anthropology and theology. 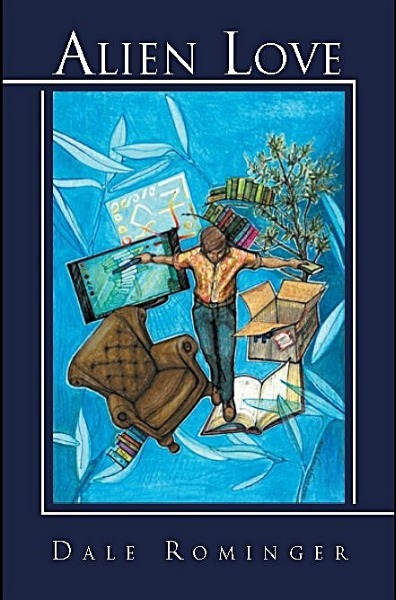 I read widely – philosophy, theology, history, politics, narrative theory, theater and film theory, and in recent years I’ve been interested in the development of robotics and cyberspace. And I’m always reading fiction, from the popular to the literary. I’m a big fan of Philip Roth, Toni Morrison, Chuck Palahniuk, Zadie Smith, Kurt Vonnegut, Barbara Kingsolver, Roberto Bolaňo, Haruki Murakami, Margaret Atwood, Julian Barnes, and Joyce Carol Oates – to name a few. Through the years I’ve traveled widely for a varieties of reasons. I stood on the Berlin Wall New Year’s Eve 1989 when 500,000 people welcomed in the new decade and the liberation of the once Soviet states. I was in South Africa for the first fully democratic election and stood in line for hours with black South Africans as they voted for the first time in their lives. I was in Northern Ireland at the time of the Good Friday Agreement visiting both Unionist and Republican areas on opposite sides of the Peace Wall. I can’t remember the number of countries I’ve visited, but I’ve been around the world a few times. Much of my travel was associated with work, and most of it meant visiting areas of extreme poverty, but not hopelessness. I worked with local people in creating international partnerships, developing educational programs, establishing sustainable micro businesses. Can’t tell you how many great people I met along the way, everyone doing their best not just to survive but to thrive. After almost thirty years I've moved back to the United States and now live in Seattle with my wife, Roberta. Drake Ramsey is a Californian news reporter who wants to write the great American science fiction novel. Dumped by his girlfriend, Drake finds himself with nothing to lose, and he searches online for a secluded place to work. Alone in a dreary English coastal town, he is lured to the Skinburness Hotel, where he finds inspiration in the beer and the atmosphere. Drake senses this is the place to harness his creative genius, without any idea of what awaits him in the future. Drake is befriended by the hotel manager—just as a member of staff is found mysteriously dead. Drake, ever the streetwise reporter, senses a story and begins to investigate. The last person to have seen the dead man alive is Zuri Manyika, a stunningly beautiful hotel guest. Now Drake must determine whether Zuri was involved, all the while wrestling with his undeniable attraction to her. Unfortunately, this is not the first death in the hotel—nor will it be the last—unless Drake finds a way to stop a killer. 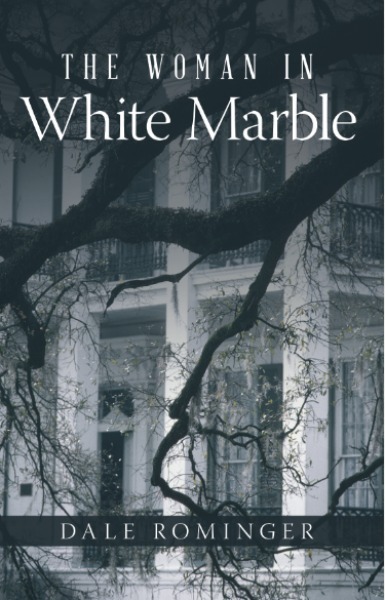 In this eerie tale, an American news reporter suddenly immersed in a suspicious death investigation is about to discover that every mystery comes with an unexpected twist. Meet Pepito Pusinka Russell. His father was a James Joyce scholar and his mother died in an accident two months before his birth. He falls in love with a beautiful woman whose language he cannot speak. It is the future. China is the world superpower with mining colonies on the moon and Mars and a spaceship full of settlers en route to Alpha Centauri. One day Pepi discovers his mother was not the ideal person he thought she was. Disillusioned, he begins to doubt his wife as well. The marriage is hanging by a thread. Laura, Pepi’s wife, is unnerved by what happens next. The husband she knew was suspicious and jealous. But now he is affectionate and generous. Is it possible for a human being to change so profoundly? Laura persuades Pepi to check himself into a psychiatric facility. Alien Love is Pepi’s “essay” written in the care home. Through extended argument he challenges the reader to judge who is right: the psychiatrist who can explain everything via pathology and biochemicals, or himself, with an amazing story that he is a simulacrum, a replacement of the original Pepi. He says that he was abducted by aliens and transformed. 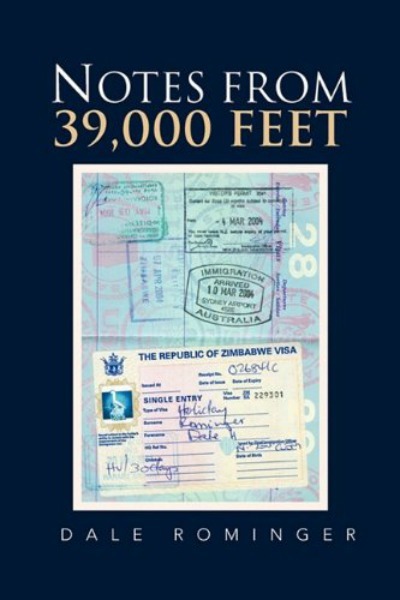 Notes from 39,000 Feet is a collection of observations from Dale Rominger’s experiences around the world. With extraordinary clarity, he describes everyday moments and historical events, including the fall of the Berlin Wall and the first elections in South Africa. Describing personal encounters in places as far afield as Reykjavik and Luanda and reflecting on social and political events from Harare to Seoul, Rominger presents an array of details which most of us would miss and interprets them in such a way that they haunt us after we finish reading. While there is no central theme, there is a background hum that hints at ethical, philosophical, theological points of view that make up a system of meaning. The last section of the book includes two short stories. The first, “The Poetry of Being Human,” was written after Rominger’s return from Central America. The second, “Martha Goes to Paris, “ is a response to George W. Bush’s rightwing Christian fundamentalist America. Rominger does not pull his punches. Behind almost every word there is a shadow of anger at the injustices he has witnessed. But the book is also an account of the effect such a life can have on a person. 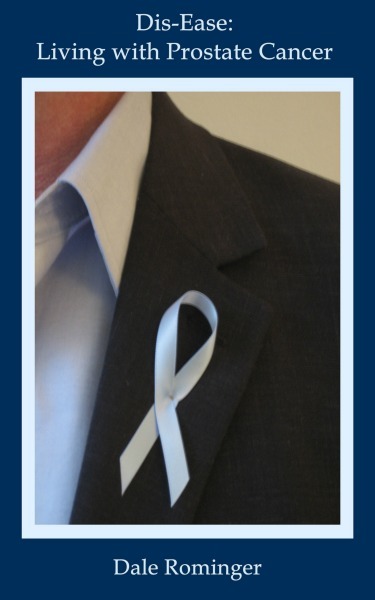 There is a conspiracy of silence surrounding the experience of prostate cancer. Visit the health section in the bookshop and you will find books by doctors but few of the personal narratives so well represented in other illnesses. The twin threats of incontinence and erectile dysfunction cause many men to withdraw into embarrassment behind a veil of silence. Sons do not know the outcomes of the treatments their fathers have undergone. Friends are reluctant to speak to friends. In Dis-Ease: Living with Prostate Cancer, Dale Rominger has written candidly and with self-deprecating humor about every aspect of his experience, from his diagnosis in 2011 to his radical prostatectomy in 2012 and its aftermath. He describes both the physical and emotional journeys with reflections along the way based on his efforts to make meaning of what he was experiencing. While quick to emphasize that he is not a medical expert and that no two men’s experiences will be identical, he offers openness as a gift to other cancer patients and their families and friends. The writing is scrupulously unsentimental while acknowledging deep vulnerability, disturbing questions, anger, uncertainty and fear.